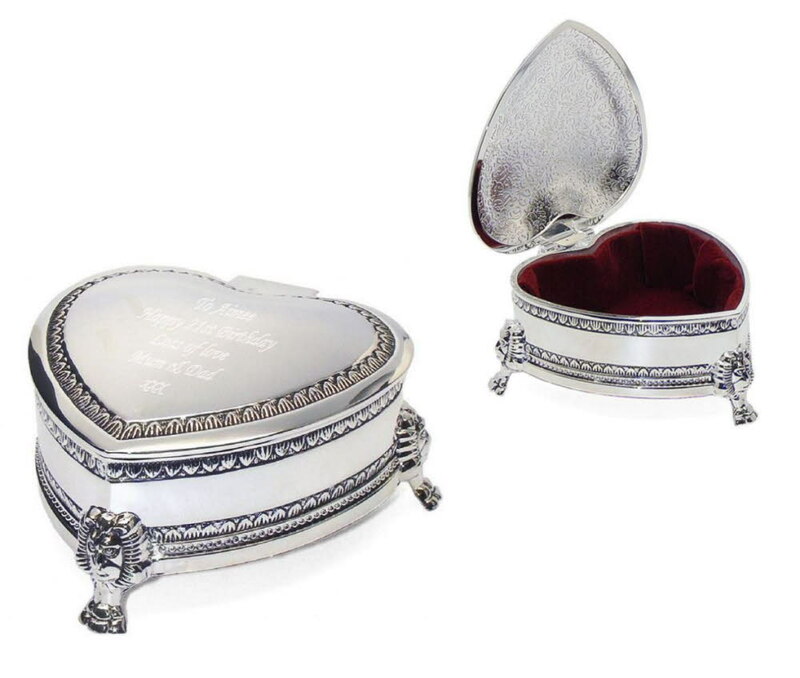 A beautiful engraved ornate/vintage silver plated heart trinket box. Ideal for Bridesmaids, Mother of the Bride/Groom, Anniversaries, Birthday's, Mother's Day, Christmas....it's endless!! To personalise please enter your text in the Customisation box. We will then engrave to your personalised requirements.